Two and half years ago, twelve nerds gathered around a table in Toronto to share a case of beer and talk about tech. It was there that HackerNest was born. 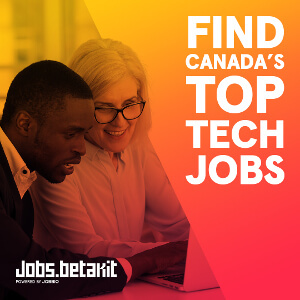 Today this same group has gone global – growing to more than 5,000 people across seven cities – making them Canada’s largest and fastest growing tech meetup. HackerNest is a nonprofit organization dead-set on building a supportive community to strengthen local tech ecosystems. They believe that strong, supportive tech communities should exist everywhere – not just in hotspots like the Valley or New York and so they are doing something about that one city at a time. 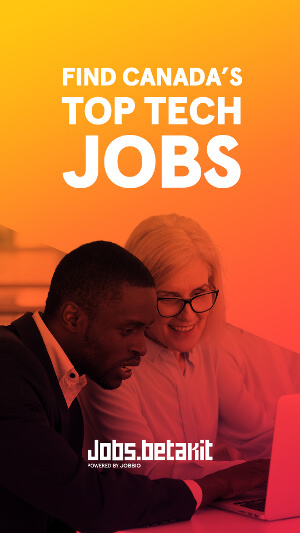 They are most known for their Tech Socials, which are aptly described on their website as “very casual, disarmingly friendly, and super-unpretentious events for technologists from all walks of life to connect and commiserate”. 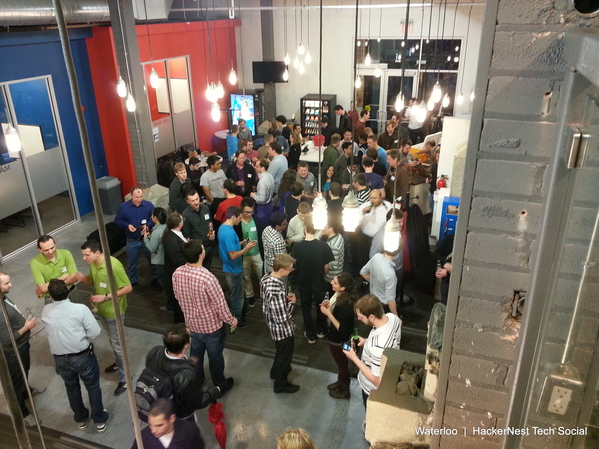 If you have ever been to a HackerNest Tech Social you can testify that these meetups are not like any other out there. There are no agendas, no sales pitches, lots of beer and a large crowd of like-minded people who are there to be part of a community rather than to try to weasel their career forward. My first time attending one, I thought I had mistakenly walked into a happening party rather than a networking event. For founder Shaharris Beh, this feeling is exactly the vibe they were hoping to create for their events. “When I used to go to other tech events you meet a lot of people who are like ‘I’m Mike, the CEO of so-and-so company’ and you would say ‘Oh great Mike, so how many people do you work with?’ and inevitably they would say ‘Just me’,” Beh told BetaKit. “We wanted to remove the cold interaction created by wanting to seem bigger than you are and strip away the pretentiousness of business-oriented events because people don’t honestly communicate enough in these types of settings”. HackerNest’s casual, fun and nonchalant attitude seems to be working. According to Beh, unlike other meetups which usually see a 40-60 percent turnout, HackerNest consistently sees 90-95 percent of those that RSVP show up. “Everyone is welcome. We do not turn anyone away unless they are belligerent, really aggressive or just a douchebag,” said Beh. In fact, HackerNest enforces a “no douchebag policy” for their events – one of their only rules for attendees. Beh also attributes the lack of sales pitch and the use of nametags to HackerNest’s success. “Name tags are the secret currency of awesome events. They make talking to someone so much easier,” says Beh. Hackernest has steadily started to conquer the world. They currently have a presence in Toronto, Waterloo, Vancouver, Dallas – Fort Worth, Kuala Lumpur. The last two cities were just recently added and saw some pretty significant numbers for their first events. Beh told BetaKit that they are currently working on getting up and running in Vegas, Orange County as well as more international cities such as Manila, Melbourne and Auckland. Outside of their Tech Socials, HackerNest is also most known for their Hackathons. Last year’s Hackathon involved over 250 participants with cloud-based security company, Airpost.io, being the winner. This year’s Hackathon, set for February 2014, will be the first in their Construct series. Unlike other Hackathon’s Beh wants this to be purely about the innovation and not about the business plans, monetization and commercial viability. The first of the series, called Mind and Motion, will focus on next generation user interfaces like Leap Motion, Muse etc. Very honored and humbled by this great, candid write-up, Tom. Thank you for supporting the HackerNest mission!